Publisher: Mapin Publishing Pvt. Ltd. Pages etc. : 364p., (519)col. illus., bib., 32cm. 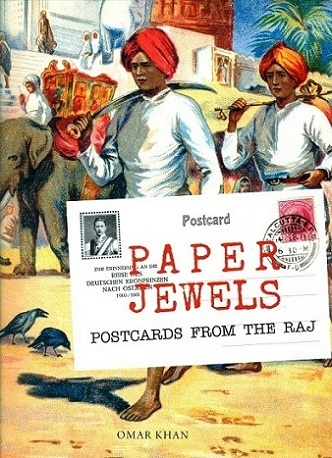 This book is the story of postcards during the Raj, and covers India, Pakistan, Sri Lanka and Burma. The first book on this subject, it is also the first to show hundreds of professionally restored images in original format. The volume uncovers such gems as the early postcards of the great Indian painter M.V. Dhurandhar and the Ravi Varma Press, the exceptional work of an early Austrian lithographer in Kolkata or a German one in Mumbai.